Description: Nick Lowe Endless Grey Ribbon UK 45 Picture Sleeve. 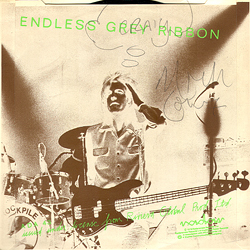 Signed by Nick Lowe in blue ballpoint pen. Personalized to Craig. 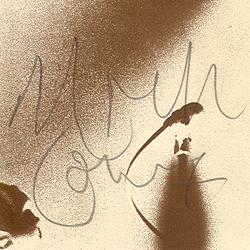 Note: Item signed on Nick Lowe's 1998 US tour at TREES in Dallas Texas.